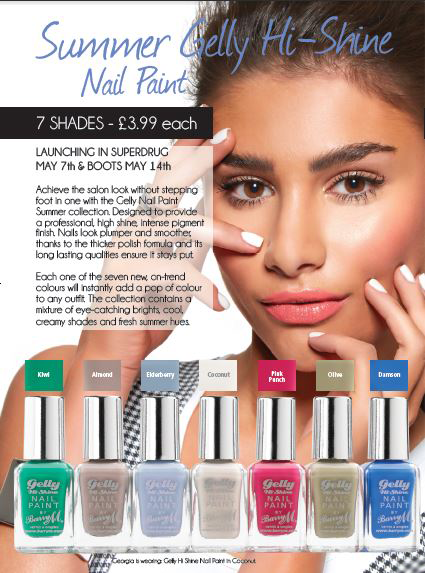 Above is the press release for the new Barry M Gelly Nail Paint for Summer 2014!! How exciting! There's Kiwi, Almond, Elderberry, Coconut, Pink Punch, Olive and Damson. My first thought was WOW THAT GREEN! ;) some of them do a look a bit similar to ones we already have, but I'm going to wait until I've compared. I'll have swatches for you all asap, and I believe there will be an early release of Pink Punch and Almond this Wednesday in larger Boots stores! What are your thoughts? I love the look of Coconut, looks like it could be a great base for nail art! I'm most excited for Kiwi though! Kiwi is definitely my favourite, the rest looks similar to other Barry M's. 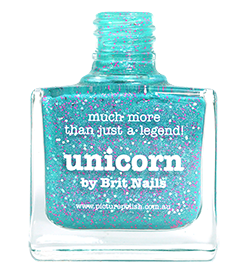 I like Barry M brand very much btw, it's one of my favourites atm. These are such nice and interesting colors, and I adore the Gelly formula, so I'm super excited about these! I'll definitely be snatching up 'Pink Punch' and 'Damson'. I swear they already had a blueberry? It's called Elderberry, kind of hard to see! They look amazing, especially the green one. I've managed to pick up the Almond and Pink Punch one today - can't wait to use them!